1. Q: You have mentioned about the political interference from the pan-democratic parties, but people also see some pro-Beijing newspapers such as Wenweipov (文匯報), Dagongpaov (大公報), as well as Global Times, criticising Professor Johannes Chan and criticising HKU students. Do you agree that that is also political interference? Also, what do you think about Professor Peter Mathieson handling of student protest and his nomination of Professor Johannes Chan as the PVC (Pro-Vice-Chancellors)? Do you support Professor Mathieson seeking for second term? 2. Q: What is your comment on student leader, Billy Fung’s betrayal? He actually voted for the motion in the meeting but later he joined back the students in a more radical protest? 4. 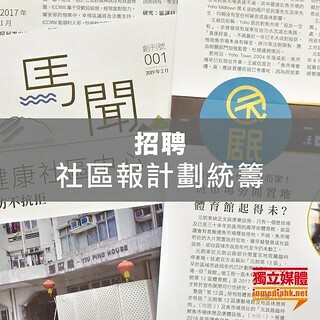 Q: Mr Li, you specifically named that the Civic Party as the people who are so-called feeding the students poison. Can you elaborate on how they are doing that and why would they do that? How does it benefit them? 5. Q: As you have mentioned, the Civic Party is behind them but what I have observed there are also some pan-democratic parties members but why are you pinpointing to the Civic party? And also I would like to ask there were some groups that are pro-Beijing groups for example the maybe the Treasure Group (珍惜群組) and maybe the Defend Hong Kong Campaign (保衛香港運動), they also have lots of support to you and they also, at the same time, urge Professor Mathieson to step down because you are the one who poisons the students and would you say these pro-Beijing groups are also political interference to the Council as well? Disclaimer: The transcript above is provided for general information purposes only. It makes no claims, promises, or guarantees about the accuracy, completeness, or adequacy of the contents of this transcript, and expressly disclaims liability for errors and omissions in the contents.